First he discovers his own reflection and then he discovers the button and hey presto, he instantly takes far better self-portraits than 99% of humans can. 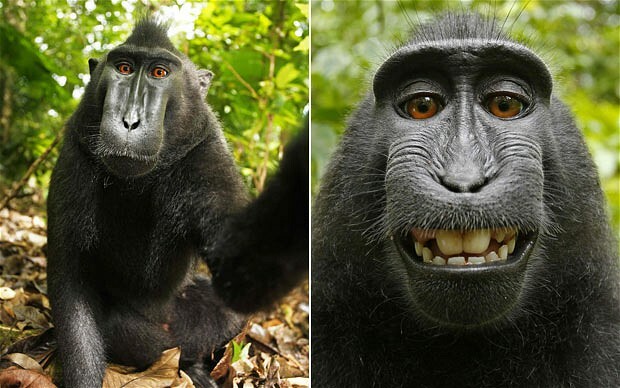 This is what a wildlife photographer discovered when he too a trip to a small national park north of the Indonesian island of Sulawesi to photograph these rare and endangered monkeys. I love the picture on the right: it's the kind of self-portrait I've taken many a time and still tend to do everytime I get a new camera.